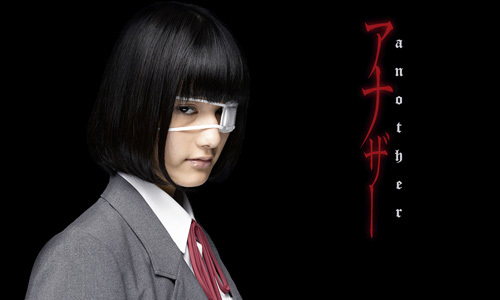 Yukito Ayatsuji’s high school horror novel Another gets a debut in live action form. The official website for this film’s project has recently began streaming the feature trailer—a ghastly, mysterious plot which envelops the plot of a high school class. The novel, which first hit the stores in 2009, has been redone into various medium. In 2010, it has been developed into a manga, and recently, the plot has been developed into a full length animation series which has hit Japan by storm. This new project however, creates an exciting anticipation for the story’s fans and horror lovers alike. Set to be launched this August, the movie is directed by no less than Takeshi Furusawa, director of Ghost Train. Actor Kento Yamazaki plays the lead role of Koichi Sakakibara, along with Ai Hashimoto as Mei Misaki. The story has flourished with the existence of this character, whose mysterious eye-patch sets forth an enigmatic appeal in this quiet, timid girl. These two actors can be noted on their previous work, Takahiro Miki’s Control Tower; a movie which was shown in 2011. The storyline follows the original story’s plot, wherein Koichi Sakakibara transfers into Yomomiya High School. Unknown to him, a certain fate lingered upon this particular class. Each of the students along with the people they associate with has been enveloped in a tragic horror which leads to gruesome deaths. Misaki, who has been considered invisible by the other class, leads to Sakakibara’s intriguing entanglement to the deeper story of the curse. The class sets forth to find out what causes these deaths, if only they all remain alive to solve it.